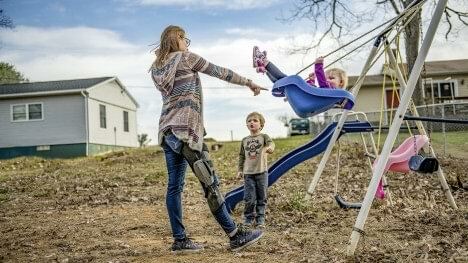 The C-Brace can help facilitate positive functional outcomes for patients with lower limb neurological impairments. 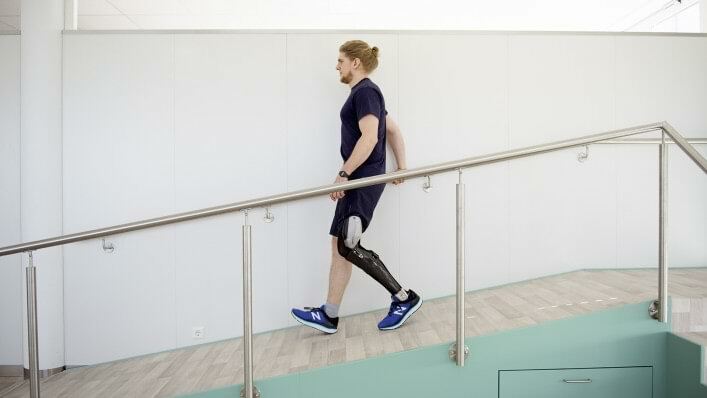 C-Brace supports the user and adapts to everyday situations in real-time. 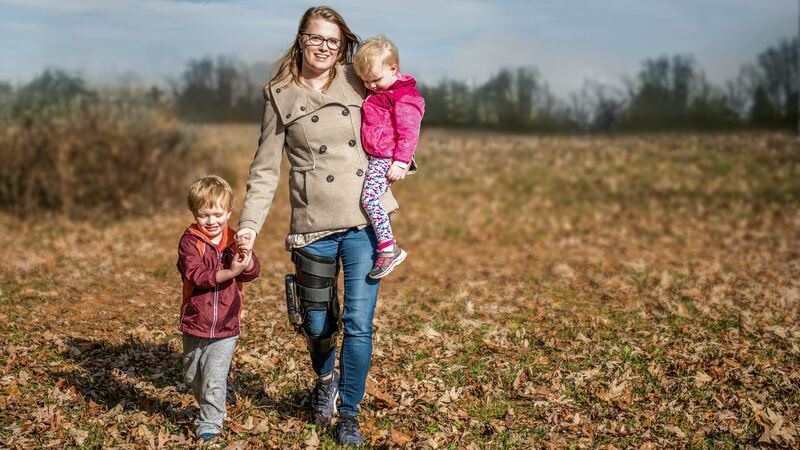 The C-Brace helps patients with neurological conditions affecting their legs return to activities of daily living, and live the life they deserve. The microprocessor-controlled stance and swing phase allows for dynamic, real-time control of the entire gait cycle. Controlled resistance to knee flexion allows patients to gradually sit down and not fall into a chair, walk down stairs step-over-step, walk up and down slopes and inclines, and walk safely and more naturally. The low-profile, lightweight construction means users expend less energy while walking. The C-Brace helps restore natural body posture, reducing contralateral physical strain and resulting secondary conditions. A physician or PT referral is required before a patient can be fit with the C-Brace. Each C-Brace is custom fit and fabricated by a C-Brace certified Orthotist. 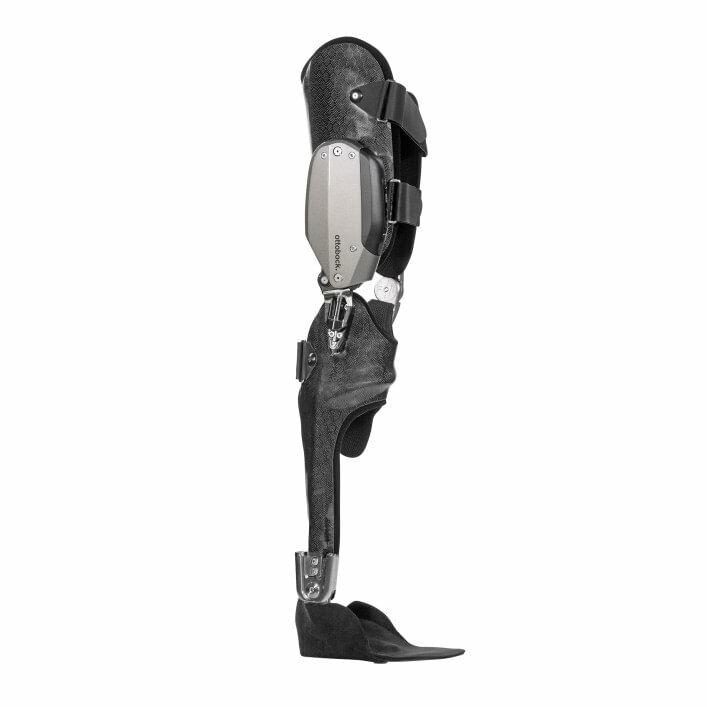 There are hundreds of certified Orthotists in North America. Click here to find one near you. The physical therapist is an essential member of the C-Brace evaluation and fitting team, and is critical for patient success. C-Brace users must complete physical therapy to become fully functional with the orthosis. Physical therapy training includes improving balance, coordination, and muscle strength, as well as gait training and teaching the patient to walk and use the C-Brace safely on uneven terrain, inclines, declines, and stairs. C-Brace can help your patients maximize their ambulation potential and achieve more freedom of movement than ever before.